Sit back, put your tray tables up and enjoy your flight. 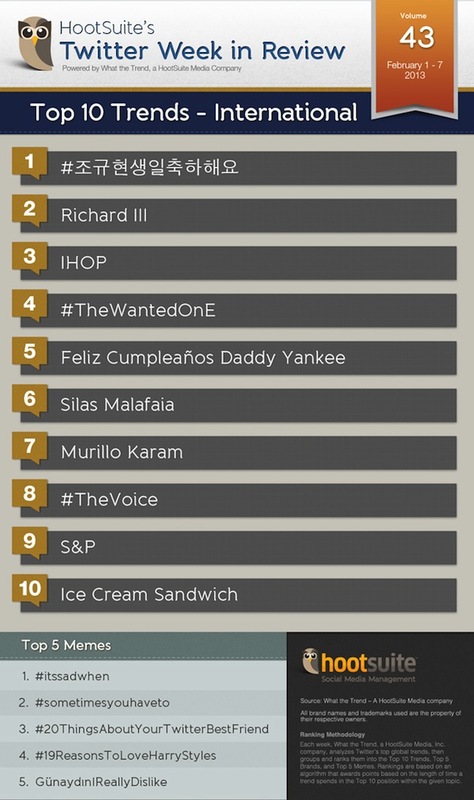 This week’s International Twitter Trends of the Week is truly international, covering all corners of the globe. Our flight plan begins in Korea, stops over in Great Britain, flies south to the US and catches tail winds over to Brazil. Let’s taxi onto the runway and see what everyone’s tweeting about. This week, we peered back into an unsolved historical puzzle: where in the world is King Richard III? 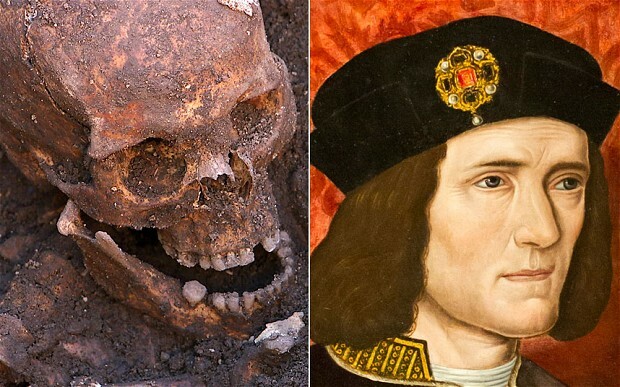 Said to be one of the most significant finds in archeological history, researchers at the University of Leicester, London confirmed this week that the skeletal remains found last year under a parking lot belonged to King Richard III. This confirmation came after DNA tests displayed positive as a direct match to two distant relations of the King. Studies of the skeleton found 10 injuries, some of which fatal, from the Battle of Bosworth in 1485, and also displayed his infamous curved spine. While London is busy making history, America is busy making… pancakes. This week, the restaurant chain, IHOP was trending because of their annual free-pancakes-for-charity promotion, which they call “National Pancake Day,” on Tuesday, February 5th. Who doesn’t love pancakes, especially when they’re for a good cause? In exchange for free pancakes, IHOP encourages customers to donate to local Children’s Miracle Network hospitals. That’s a good trade. And over to an awkward situation in Brazil. Silas Malafaia is a Brazilian televangelist and president of his own spin-off church, the Victory in Christ Assembly of God. After a recent Forbes article not only called him the third richest pastor in Brazil, valuing his wealth at over $150 million, but also called him the “most outspoken” of the bunch. Ironically, he’s the only one making a real stink about the article. Malafia has promised to file a lawsuit against the magazine for its “shameless” report. Malafaia was then interviewed by popular Brazilian journalist Marilia Gabriela, which only stoked the controversy even more. Among other things, Malafaia reaffirmed his staunch opposition to gay rights in the interview, stating he does not believe that some homosexuals “have the capacity to develop a human being.” Let the tweets begin. 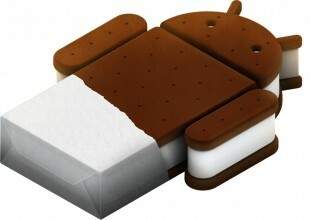 Android 4.0’s, AKA Ice Cream Sandwich is the long awaited latest version of the Android platform. Back in August 2012, HTC ThunderBolt users were promised the Android Ice Cream Sandwich update. However, after continuous delays for multiple reasons, the update finally rolled-out this week for patiently waiting Androiders. While this should be cause for Android users to celebrate, some have already reported issues with the software. Looks like they may have to wait until warmer weather for their ice cream sandwiches. Check out what’s trending this week in America’s Twittersphere. And of course, until next week peeps.